Connects your thermostats and lighting to your security system for a smarter home, with more responsive options for saving money on energy costs. 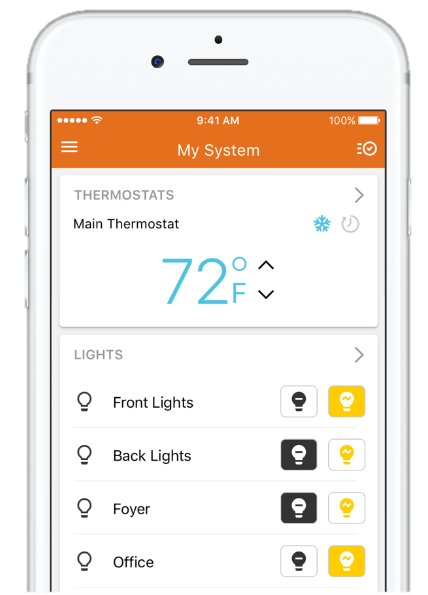 Manage automated schedules for your lights and temperature settings with the Energy management portion of your security system. This enables you to set rules which provides you with smart automation based on the activity of your security system. Managing your energy has never been easier with this smart home technology. Stay in control of your energy settings with the help of the app—sending notifications if the thermostat setting is adjusted, or if your home’s temperature becomes too high or too low. You also have the ability to lock-out others from adjusting your thermostat settings. Your system will have the ability to use real-time weather data to adjust the temperature settings in your home, to avoid paying spiking rates on days with extreme temperatures. 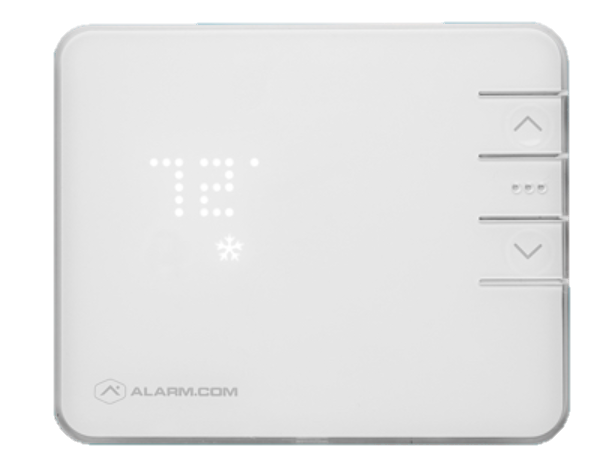 The Alarm.com mobile application gives you the capability to adjust the lights and thermostat from your home or even while you are away.